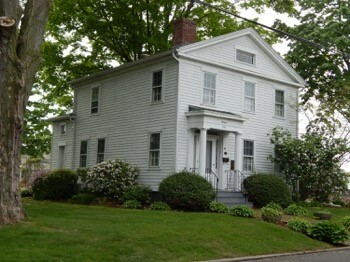 The Milford Preservation Trust will hold its annual meeting at the Botsford House, 84 Gunn Street, at the corner of Ford Street, Milford, on Wednesday, June 10, 2015 at 5:30pm. After a brief meeting there will be a tour of the historic 1822 Botsford House, from 6:30 to 8pm. Former City Historian Richard Platt and several members of the Botsford Family board will be on hand to lead tours and discuss the history of the residence. This event is free, and the public is welcome to attend. Light refreshments will be served. For more information, contact Michele Kramer, President of the Milford Preservation Trust, at (203) 874-5386.